Contrefait (contrafactum, or contra facta) is the period term for the practice of taking an existing tune and writing new lyrics to it. In period, the source tunes were often church music, since what was sung in the church was known to everyone, but secular tunes were used, too. Broadsides were also composed the same way: by writing lyrics that could be set to popular music of the day (and sometimes more than one tune. It was not unusual for a broadside to list a number of “excellent tunes” to which one might sing the words). (“The Star-Spangled Banner” is one of the most famous Broadsides in the U.S…..) Broadsides were also a product of the world after the invention of the printing press, when it was easier to distribute music and lyrics. For that reason, among others, the term “filk” is controversial, and in fact, offensive, to some. “Filk” was supposedly a typo once upon a once, when someone trying to put a “folk music circle” into a con program misspelled it. The misspelling stuck. So “filk” as it is used outside of the SCA is not confined to rewritten lyrics to an existing tune. In the Sci-Fi-Fantasy Convention circuit, “Filk” is a catchall term meant to include any and all music of interest to the subculture. But in the SCA, “filk” is also considered by many to be a prejudicial and derogatory term. I believe the other major reason it is viewed as pejorative is that “filk” in the SCA has become synonymous with works that are not as serious, or not as appropriate, or that otherwise “break” the medieval experience for other listeners. They are almost always set to popular or well-known modern songs. Very few of them are really “about” historical topics, or if they are, they often address those topics in self-consciously modern terms. Because of all that, the perception over time has been to think that filk music is somehow “lesser” than original music or even lyrics set to period tunes. Now, I think it’s unfair to paint all “filk” with the same brush. I prefer to invoke Sturgeon’s Law when it comes to this sort of thing. It’s not that all filk is frivolous or scans poorly or doesn’t sufficiently change the source material as to count as new; it’s not that all filk uses aggressively modern music or that it is always self-reflexive or self-indulgent. I think it’s as simple as this: there’s a lot of it, and 90% of everything is crap. It specifically addresses subjects that are meaningful to a subculture, such as a fan of a particular book, show, or movie, or, in our case, topics that are uniquely meaningful to the SCA’s subculture. To my thinking, this differentiates “filk” from “contrefait” for our purposes because for the most part, using a period melody does not presuppose a familiarity with the original song (though it did, in period), whereas “filks” that take modern tunes usually do rely on that exposure. Songs like this are often humorous and fall under the heading of parody, but not all are meant to be funny. However, almost all contrefait with a modern melody do pick the original tune for some reason that puts an ironic twist of some kind into the new lyrics. The catch is that that’s often easier said than done. One of the criticisms of SCA bardic performance in general is that there’s a low bar to entry. “Filk” gets its own unfairly poor reputation as one of the “lowest” bars for songwriting, because you’ve already got a tune, and you’ve already got a basis for the lyrics, depending on what prompted your choice. On the other hand, it can be deceptively difficult to do artfully. The best way I can discuss this is with some examples. I’ll use my own work, simply because I have the right to reproduce it. All the songs I’ll be talking about have melodies that should be well-known to the reader, or are easily available if you’re unfamiliar with the tune. Oh it was sad! It was sad! Oh it was sad! It was sad! Obviously, they share the same scansion and rhyme scheme, and the verse and chorus share the same structure. Several lines of the chorus aren’t different at all. But that’s about all they share. However, if a listening audience member knows the Titanic song, they’ll automatically know how to participate in the chorus. As time goes by Of Pennsic War. As time goes by. At Pennsic War. That no one can deny. That everyone abhors. Once again, the original lyrics provide the rhyme scheme, the scansion, the structure, and in this case, some key lyrical “hooks” that twist the original song and give it a different context and meaning. However, this song also introduces an element of Filk Objective #2: It discusses a topic which is of significance to members who are already part of the subculture. I would say that this filk doesn’t completely fulfill that objective, because while it’s more meaningful to members of the SCA who have experienced Pennsic, it’s not impenetrable to people who have not. Unfortunately, it’s also not very good, so it fails in the cleverness department, in my opinion. It’s a fairly trivial song that doesn’t really deepen either the original or the new lyric. there before. that wasn’t there before. she didn’t shudder at my paw! And stuck it down his craw! That wasn’t there before That wasn’t there before. New, and a bit alarming Ew, this is so disgusting! That I simply didn’t see The crew’s down to only me. That wasn’t there before. That wasn’t there before. First, this definitely presupposes a familiarity with the original song and the context of the original song as a montage of Belle and the Beast starting to fancy one another. The new lyrics then use that bouncy melody to relate the plot of a movie that could not be further from Beauty and the Beast. Note also that this lyric never explicitly mentions what it’s about. It relies on the listener catching on. Thus, listeners who are unfamiliar with Beauty and the Beast or the plotline of Alien might be able to appreciate the clever lyric, but certainly won’t get much out of the song. choosing a tune that is not easy to sing a capella or in a bardic context. 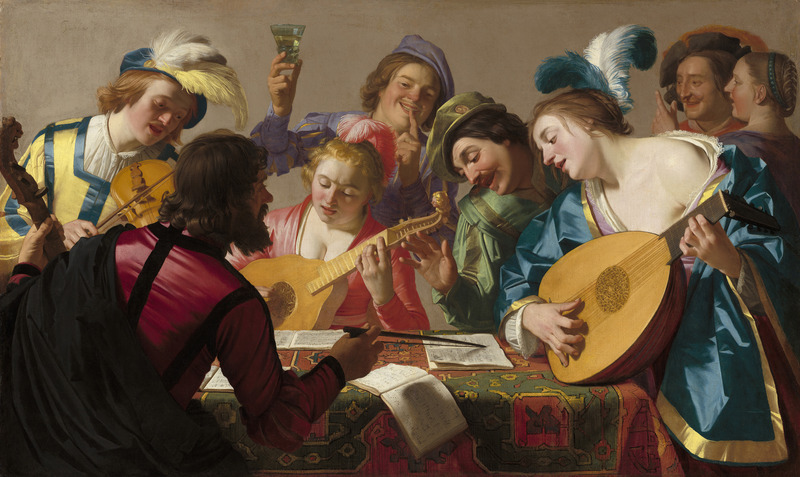 A lot of modern music (especially popular or musical theatre music) is difficult and really challenging to sing without an accompaniment, or relies on the ability to “hear” the instrumental support, which one can’t necessarily bring to a bardic circle. forcing lines to fit into the scansion or rhyme scheme of a song. Often lyricists, especially beginning lyricists, will “lose track” of the scansion as they are writing the new lyrics. (This is not limited to the SCA, in fact, and was famously lampooned in the Tom Lehrer song, “Folk Song Army”) The best way to avoid this is to lay out the original lyrics next to the new ones, to make sure things track as much as desired. picking a tune that isn’t as well-known as desired. If you’re counting on your audience recognizing the song, make sure it’s recognizable. being so obscure or subtle in one’s references that the audience doesn’t understand what the song is supposed to be about. picking a tune or setting lyrics that are aggressively modern. In the SCA context in particular, successful “filks” either blend in with the medieval ambience or they are best reserved for a context in which they won’t jar the listener. Sometimes this can work as a conscious choice, as when the artist wants to be anachronistic for humor or irony. Unless you know your audience well, be careful that it doesn’t fall flat. Without these factors, it doesn’t matter if the tune is “new” or “used” or the lyrics are clever or banal. As for using (modern) contrefait, it’s absolutely valid, depending on the venue and purpose of the performance. In my opinion, they’re more appropriate for small gatherings, post-revels, late nights, or if you really know your audience wants that kind of contribution. It’s merely a question of the right selection for the right occasion! More on that…in another article! I failed to note, and should have done, that it is IMPORTANT when selecting a modern tune to check into the copyright on that melody, particularly if you are considering recording it. Copyright law and public domain in music is a very complicated subject that generally requires expert advice. There are arguments to be made for transformative work, but that is also a massive rabbit-hole that is the subject of much heated debate. PLEASE do be careful if you are using anything that might get you in hot water, especially if you are being compensated in any way (such as performing live if you’re getting paid for the performance, putting it onto an album or making it available for downloading, etc.). When in doubt, either don’t use it in contexts that may be problematic, or simply pay the royalties.